Anatomical Revision Day – The beauty of what’s inside. In this course you will be taken through the detailed anatomy of the human body, using prosected human material. You’ll be guided by two expert anatomists and two equally expert osteopaths, who will put the structures into meaningful context. You will be able to resolve those bothersome anatomical questions you’ve had nagging at you for years, you’ll investigate the muscles that perplex you, you’ll see anatomical anomalies, and and you’ll see degeneration in 3D rather than on an x-ray or scan. Throughout the day we will be talking about injuries and treatment approaches to the different areas of the body – always relating what we see to what we do in clinic. In order to ensure the best instructor-student ratio, with plenty of access to the material itself, student numbers are strictly limited to just 20. The course will run between 9:30 to 4:30. 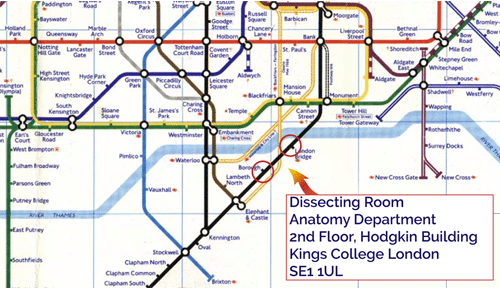 The King’s College Dissecting Rooms are sited in the Hodgkin Building, which is on the Guys Campus, off Newcomen Street. 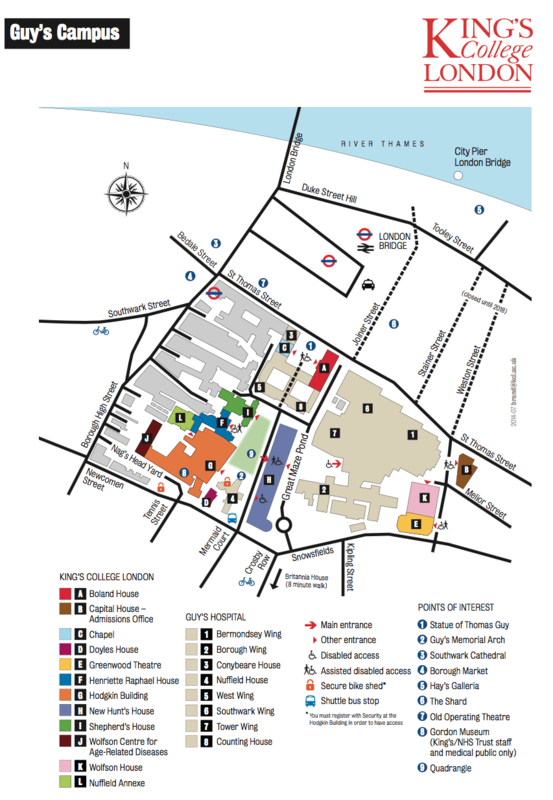 It’s roughly midway between Borough and London Bridge tube stations. 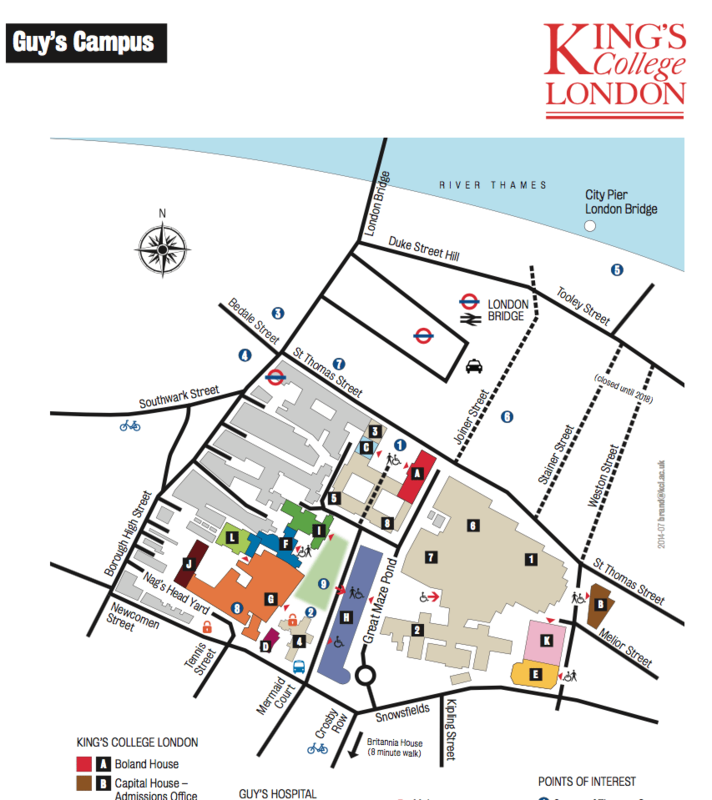 You can download a campus map by clicking the image below. An understanding of what lies under the skin is fundamental to what we do when we treat our patients, but we usually learn this from books. When you see and palpate dissected muscles and joints, you start to appreciate how they attach, how they interact together and how your treatment affects them in a way that no book can explain. 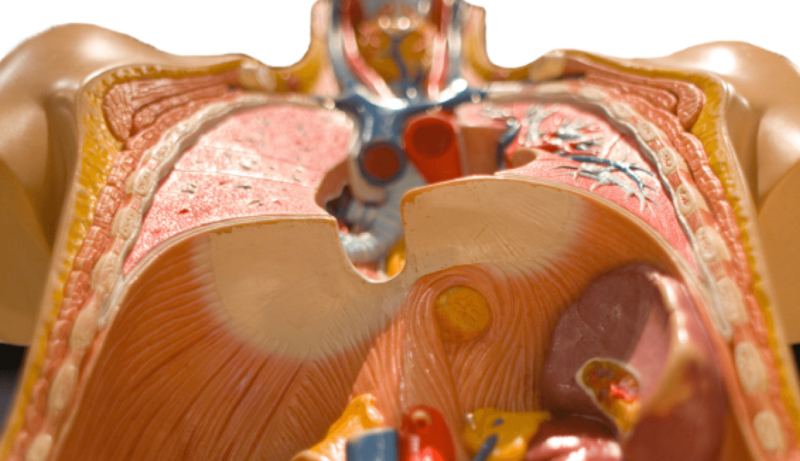 This rare opportunity will leave you astounded by what you have learnt about the body. In fact, you will probably change some of your treatments for the better because of your greater understanding of the structures under your hands. Course numbers are limited to 20 students to ensure close personal supervision and maximum access to material. All attendees must be registered osteopaths, chiropractors, physiotherapists or sports therapists. Other medical professionals may be eligible – if in doubt please give us a call. The fee for the course is just £301.20 inc VAT . Members – save £35! Use your discount code (APMHD19) so you don’t miss out on this great offer!